HAMILTON: Saturday evening at 8:00 p.m., Sunday evening at 7:00 p.m. THE BAND’S VISIT: Tuesday evening at 8:30 p.m.
*Premium Season Ticket Packages (Center Orchestra Rows A–U; Left Orchestra B-C 105-108, D-E 106-109, F-G 107-110, H-J 108-111, K-L 107-110, M 106- 109, N 104-107, P 101-102, Q 114-117, R 112-115, S 111-114, T 110-113, U 109-112; Right Orchestra B-N 151-154, P 151-152, Q-T 151-154; Dress Circle A-C; Left Orchestra B-C 101-104, D-E 101-105, F-G 101-106, H-J 101-107, K-L 101-106, M 101-105, N 101-103, Q 101-113, R 101-111, S 101-110, T 101-109, U 101-108; Right Orchestra B 155-158, C-E 155-159, F-G 155-160, H-J 155-161, K-L 155-160, M 155-159, N 155-157, Q 155-167, R 155- 165, S 155-164, T 155-163, Right Orchestra Box ADA) include a $80 fee for each season ticket seat purchased. Premium Season Ticket Holders receive priority access to premium seat locations available only to these Season Ticket Holders prior to tickets being placed on sale to the general public. 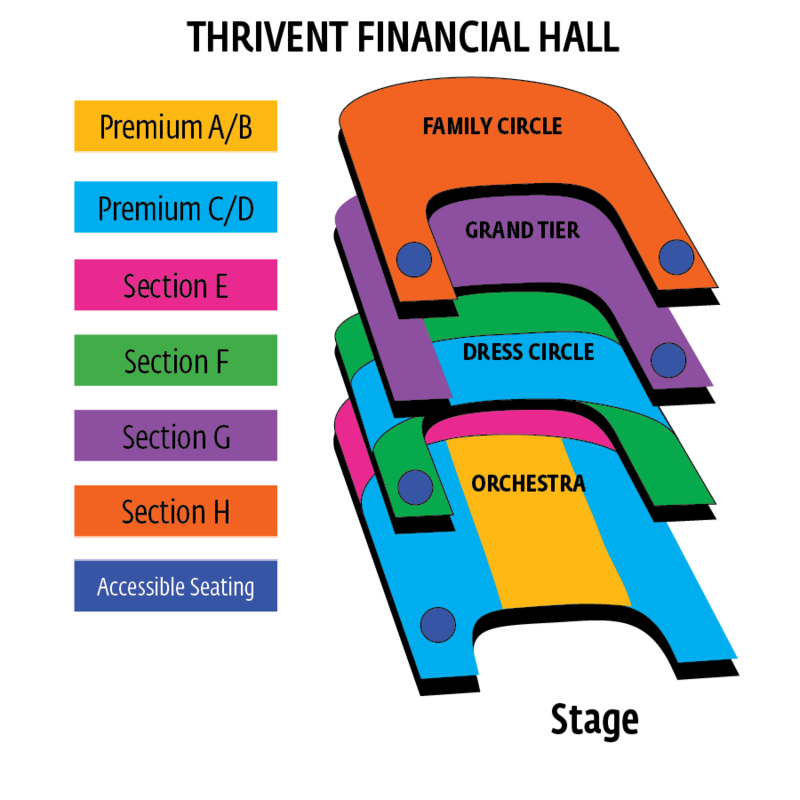 Premium Season Ticket Packages also include additional benefits such as discounts at local restaurants, show merchandise, reserved parking, preshow reception(s), and the opportunity to purchase additional tickets to most shows before the general public.